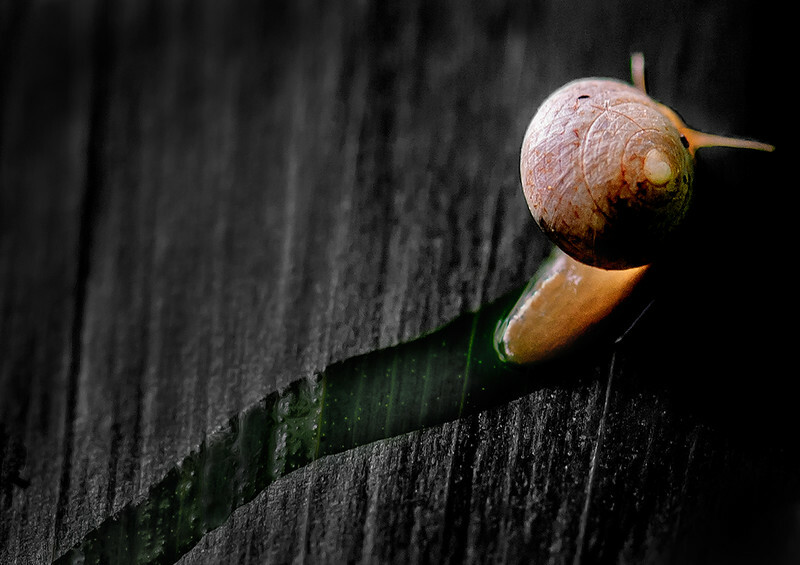 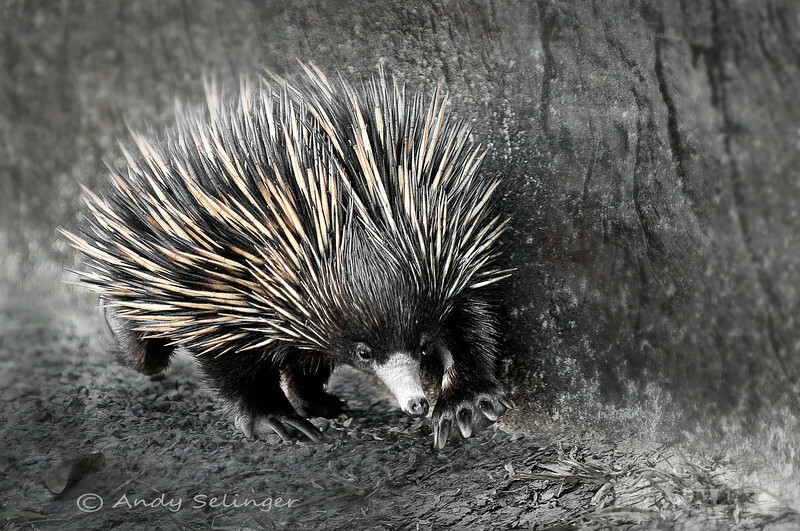 An echidna is moving along the side of a bridge, hurrying to get across. 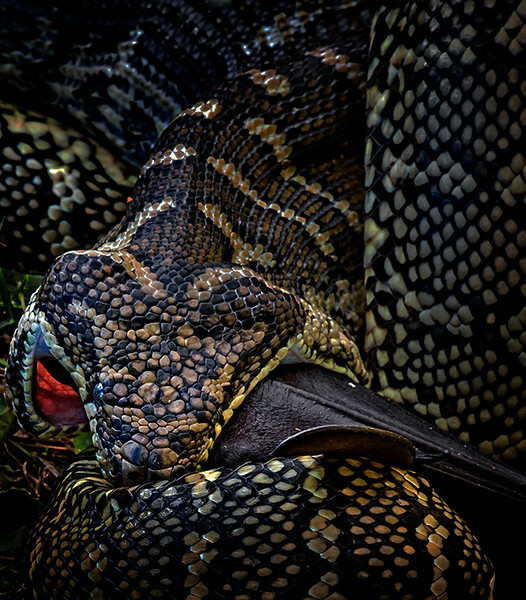 A carpet python close up. 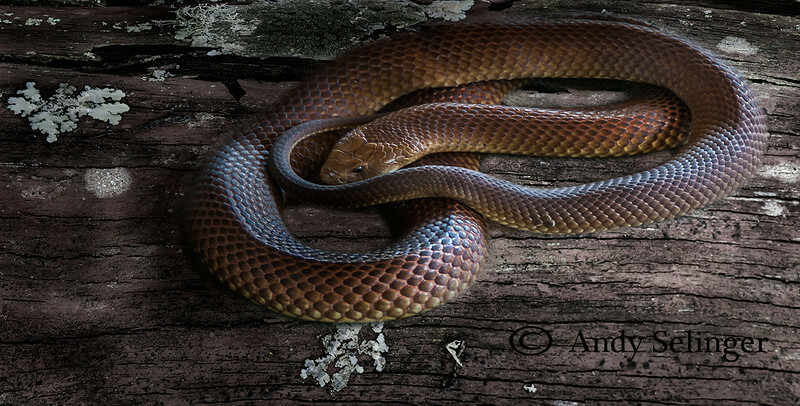 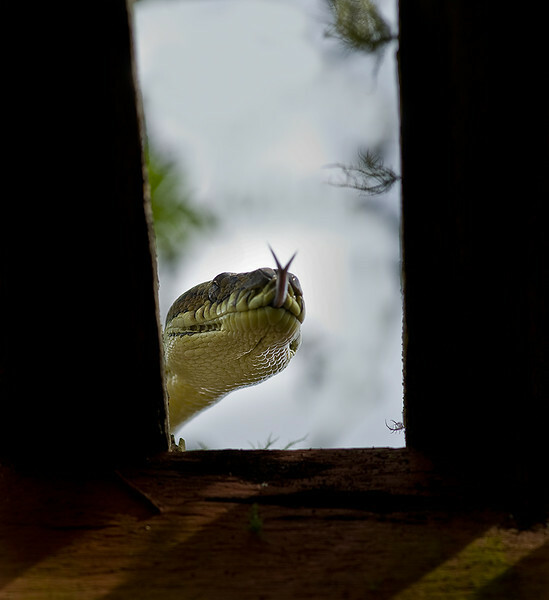 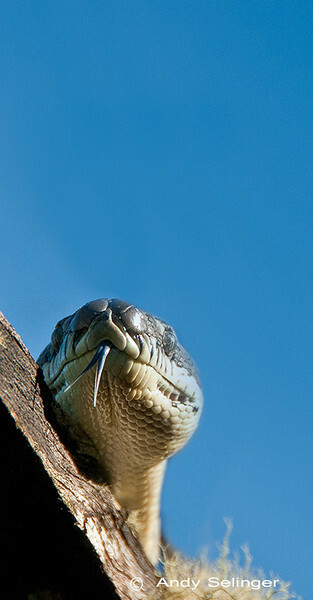 A carpet snake, with flicking tongue, is looking into the opening of a wooden structure. 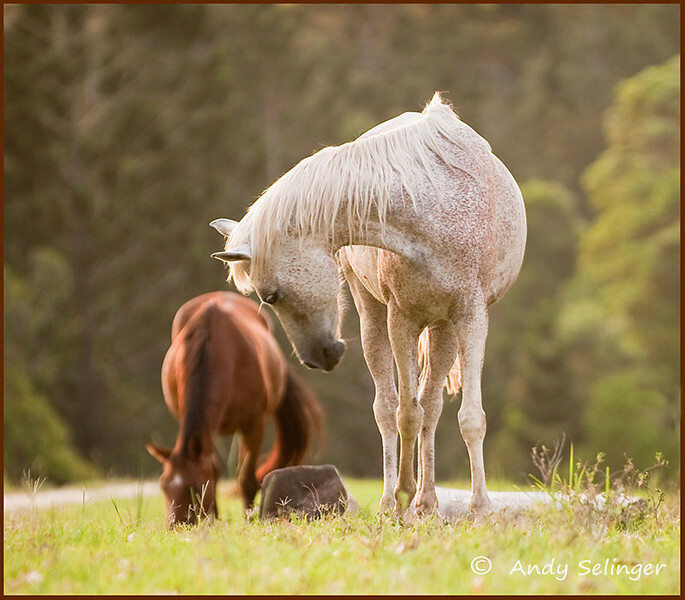 Two ponies in a field at dusk.